Earlier this week, we set out to catalog every PC game coming out before the end of this year, from Fruit Golf to What!? My Neighbors Are Demons!! ?, but there are so many games our fingers started going numb. That said, we've taken a pretty good crack at it, collecting 99 games that are all scheduled to release before the new year (plus a few just released games that we slipped in anyway). Even though there's only a few months to go, it feels like 2018 in PC gaming has barely started. Plan accordingly. And for more details on the year's games, released or not, pop over to our larger preview of all the new games of 2018. A real-time strategy game from the creators of Monaco. Our review's coming soon, but check out our preview from earlier this year for a look at the "bite-sized StarCraft campaign." A restaurant building and cooking game with "over 180 foods, sides, drinks and desserts." The sequel to one of our favorite RPGs of the past several years, Original Sin 2 brings us more isometric co-op and physics-based magic as of right now. The PC Gamer team is loving it so far, and we'll have a review next week. In the meantime, some tips to help you get started. A stand-alone expansion for Dishonored 2, Death of the Outsider stars assassin Billie Lurk on a mission to kill—you guessed it—The Outsider. Ian had fun with the new abilities back at Quakecon, and our review is on the way. Your yearly NBA game courtesy of 2K. This year's entry brings a new motion system and, as always, a new career meta layer and updated rosters. A first-person puzzle adventure with HTC Vive and Oculus Rift support, XING is said to be a "spiritual journey through the afterlife." The MvC series takes to the PC for the second time ever with a new game that brings Marvel and Capcom's rosters together again for tag team fights. A sci-fi action-adventure game in which the enemy studies your behavior to create copies of you. The high-tech racing series returns with over 180 licensed cars, new sports, and of course support for ultra high-end machines—12K anyone? Former PC Gamer editor Tom Francis follows up Gunpoint with a game about infiltrating spaceships in a procedurally-generated universe. Prepare for things to go very wrong. A turn-based strategy game that puts us in command of fleets of starships. The next bit of Stellaris DLC introduces the Machine Empire, a robotic society. The second expansion for Guild Wars 2 adds mounts, new elite specializations, and a new area, the Crystal Desert. A surreal action-adventure game about fighting nightmares. Figment is big on music, with a "rhythmic environment full of trumpet trees, piano houses and singing enemies" and a dynamic soundtrack that changes according to your actions. The latest Danganronpa game is releasing on PC alongside its console counterparts, bringing a new cast trapped in a self-described "psycho-cool" school, where "some will kill, some will die, and some will be punished." Torchlight studio Runic Games brings us a new action-adventure in a colorful world. It was looking pretty good when we last had an update in August. A four-player WWII shooter starring, of all people, John Cleese. After getting a look back at PAX last month, we're excited for this one. Ruiner is an isometric shooter in a brutal cyberpunk world, and like Hotline Miami, it'll take some steely nerves to survive. A dual-stick roguelike "in the dark," Canari stars a robot that uses light as its weapon in both procedural and hand-made levels. More Total War: Warhammer is totally warhappening later this month with the second fantasy entry in the large-scale war strategy series. We had a chat with lead designer Richard Aldridge back at PAX to learn all about the "mad-scientist" Skaven faction. It's a bit like Legend of Grimrock, only steampunk. Vaporum is a first-person, grid-based dungeon crawler—though unlike others it features one character, rather than a party. And lots and lots of clockwork. It's your FIFA for the year, which means there's a capitalized new feature—this time it's "Real Player Motion Technology" which "utilizes pose trajectory matching on every frame to deliver the franchise’s most responsive and fluid gameplay ever." If you pop open the Origin client, you can try out a demo. The 1930s-style animation in this action sidescroller caught our eyes several years ago, and we've been eager to play it ever since. Finally, our heads will be cups. Described as a "story driven adventure / survival / puzzle game" by its single developer, Uayeb looks to be an especially ambitious indie project. 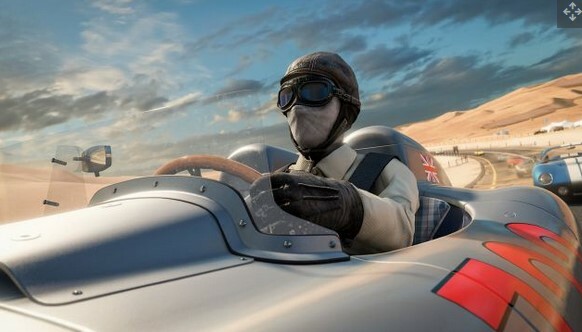 The first numbered Forza game on PC brings us 700 cars to gawk at. And also drive. A 3D platformer about hats, and being cute. As a "tiny space-travelling girl with a big tophat" stranded on a strange world, we'll have to craft new, power-giving hats and hop around collecting fuel, helping out the locals along the way. The sequel to Shadow of Mordor—which we're lovingly referring to as Wardor—with more open world brawling and Nemesis-powered villains whose stories parallel our own. Check out Joe's look at it from last month. A VR game from Metro creators 4A Games, Arktika.1 is set after an apocalypse during "a new ice age." We'd expect nothing less from the apocalypse connoisseurs at 4A, and with the latest tech from the studio, Arktika is said to contain the "most impressive visuals ever seen in VR." We'll put that statement to the test when it's out, but it's not a stretch given the look of the upcoming Metro Exodus. Appropriately releasing on Friday the 13th, The Evil Within 2 offers more gore from Resident Evil creator Shinji Mikami and Tango Gameworks. Joe got some hands-on time with Evil Within 2 back at Gamescom, bringing us some details on its branching pathways. An action RPG in a post-apocalyptic world, Elex promises a "huge seamless game world." Keep an eye on it—developer Piranha Bytes is also behind the Risen series. The second of Ubisoft's South Park RPGs points its mockery at superhero movies. Samuel quite liked what he's played of it so far. A remaster of the classic 1997 strategy game, with high-definition art, an updated soundtrack, and gameplay fixes. It's already out on console, and Tim has given the campaign a go, but come late October we'll be able to play Bungie's open world shooter with the proper equipment. Who knew there were this many games? Geez. Anyway, in this one, you can turn into a bird! In an America overrun by Nazis, BJ is back to clean up. What's most striking this time around is how weird the series is getting, which Evan was happy to see back at E3. The biggest Assassin's Creed yet, Origins takes us to Egypt during the Hellenistic Period for another round of intrigue. It seems to be taking cues from The Witcher 3, as James discovered during his hands-on, which combined with a year-long break from the series' annual release schedule has us a bit more excited than usual for Ubisoft's staple. There's no doubt we're excited for this one: Dusk is a Quake throwback with a metal soundtrack—as it should have—set in "the eerie backwoods of the American Northeast." Norm was quite taken by the first episode last month, and there's a lot more coming in the full release. There's a new Call of Duty game! In November! Can you believe it? Things are a little different than last year, though, as we're finally breaking from the near-to-far future trappings of the recent games to 360 no-scope our way back to the series' World War 2 origins. There's a beta on the way, too. Not content with just being a regular tale, Super Lucky's Tale is a flatspace sequel to the VR platformer. Be wary, football fans, and remember that you do need to sleep now and then. Need for Speed Payback takes place in "the underworld of Fortune Valley" where we'll go wheel-to-wheel with cops and underground racers. And like nearly all illegal street racers, we'll be out for revenge. An original LEGO Marvel story featuring the likes of the Guardians of the Galaxy, Spider-Man, Thor, Hulk, Black Panther, and more. A stand-alone expansion for WWI shooter Verdun, Tannenberg heads to the Russian Empire with new weapons, maps, and a new 64-player mode. After a flashy but somewhat shallow series reboot a couple years ago, Battlefront 2 is refining the blasters and adding space battles to the mix. James was happy with the tweaks when he played it back at E3, and pre-orderers will be able to try it this October during the beta. You've just become a vampire—er, vampyr—and have no choice but to stalk the people of 1918 London to feed on their blood. In the process, you'll have to "survive and fight against Vampyr hunters, undead skals, and other supernatural creatures" while picking human victims to treat like Capri Suns along the way. The 'F' stands for the same thing it stands for in BFG in this VR edition of 2016's Doom reboot. A fantasy RTS and RPG combo in the long-running SpellForce series. Your neighbor is hiding something, and in this "stealth horror game" you've got to sneak into his house to find out what—but he'll pay attention to your infiltration methods and work to cut you off if you're too predictable. It's Fallout 4, but in VR! It's all right there in the name. A full stand-alone version of the game for the HTC Vive, Fallout 4 VR set you back $60. Though given the price of a Vive itself, maybe that's not such a big deal for VR enthusiasts. Formerly Prey for the Gods, now Praey after a little trademark incident, this is a "brutal journey" reminiscent of Shadow of the Colossus in that it's about taking down unreasonably large beasts in an inhospitable world. It's already one of the most popular games in the world, so it feels a bit odd to put PUBG on this list even if it isn't technically out yet. There's no firm date for PUBG's exit from Early Access, but it should be before the end of the year. Meanwhile, vaulting is supposed to come this November, and there's a new desert map on the way. 0 Response to "99 noteworthy games still coming to PC in 2018"